The White House is not renewing its Council on Jobs and Competitiveness set to expire on Thursday, a decision that drew a storm of criticism from Republicans who have long criticized the council for being ineffective amid continued high unemployment and national economic turmoil. “Unbelievable,” Sen. Roy Blunt of Missouri. WH Spokesperson Carney said on Thursday that meetings were not essential to generate or propose ideas and criticized those who focused on them instead of results. 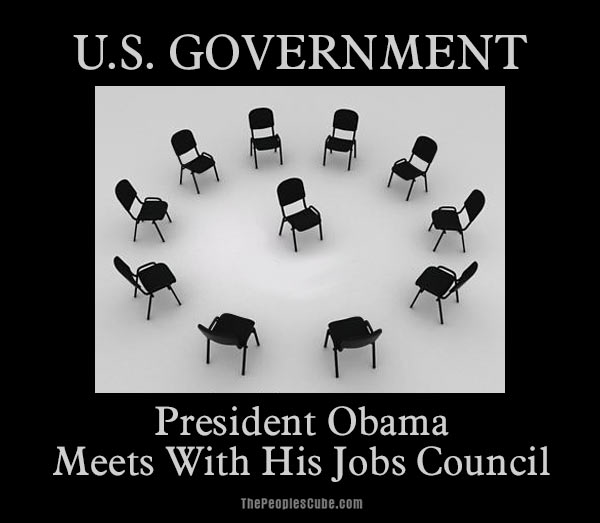 US Council On Jobs and Competitiveness cancelled due to lack of job creators. This entry was posted on February 1, 2013 at 5:38 am and is filed under Uncategorized. You can follow any responses to this entry through the RSS 2.0 feed. You can leave a response, or trackback from your own site.